Will Spencer in the gym during the 2018/19 pre-season schedule. It was good to hear Will Spencer talk this week about his move to the Tigers. A young, English second row with good Premiership experience and a liking for the physical parts of the game, Spencer sounds like he is exactly what the Tigers have been looking for. 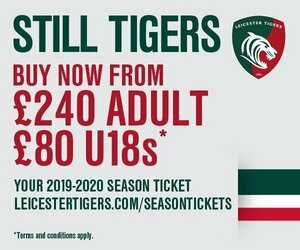 He admitted taking great pride in the prospect of wearing red, white and green in the new campaign and also acknowledged, as Matt O’Connor has done since the end of last season, that being competitive might sound good but is not enough at Tigers. This club is about more than that. This club is about contesting and winning the prizes. The fact that a newcomer already understands the expectation – and appears to have the personality and ability to thrive on it – is just what we want to hear. And when it arrives in a package about six feet six inches tall and weighing more than 19 stones, it is worth your while listening. The new season is just six weeks away and that desire to get back to the top of the pile is only going to increase as the countdown continues. Having a new starter already on the right page is a decent start.